It may not be the typical “Happy New Year” you were expecting, but it does raise the question, are you ready when an opportunity comes your way? 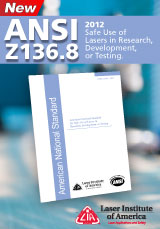 the credibility of your laser safety recommendations to your peers and management. 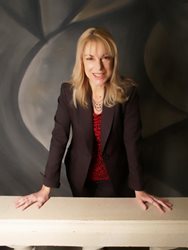 Are you continuing to take opportunities as they present themselves to maintain your certification? education activities are required to maintain certification; demonstration of professional development activities ensures continued competency. 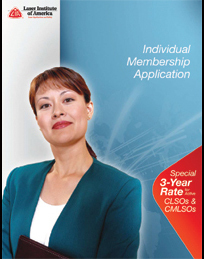 LIA (membership in a related professional society), and Laser U and Save the Date courses (continuing education). 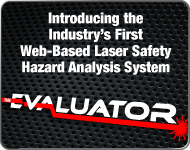 If you have any questions regarding activities for certification maintenance, please contact the BLS at 407.985.3810 or email bls@lasersafety.org. If you weren’t able to attend the Lasers for Manufacturing Event (LME) 2013 last September in Schaumburg, IL, you’re in luck! 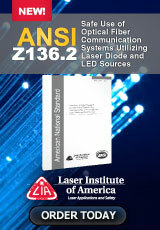 Four new courses from LME 2013 have been added to the Laser U website. These courses are being offered 50% OFF for a LIMITED TIME only! 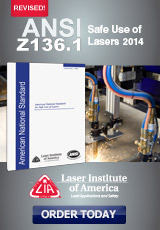 industrial laser market in 2013. 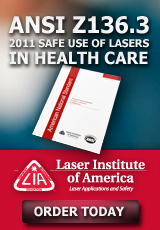 To view these courses, please visit the LASER U website. 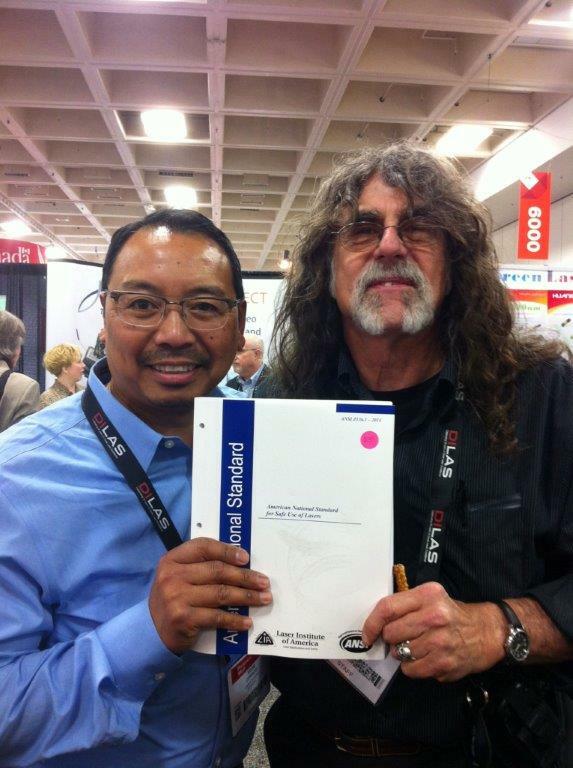 Tracy Short Laser’R Ventures, Inc.
Ciprazo and Bob Sarason with the revised Z136.1-2014 at Photonics West. 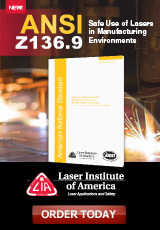 Safety you may email unsubscribe@lasersafety.org or contact the BLS at 13501 Ingenuity Dr, Suite 128, Orlando, FL 32826. Tel: +1.407. 985.3810 Fax: +1.407.